I talk about the challenges of writing horror scenes, who I’d like to see cast in the movie, and more. Here’s a taste. Part one is out and doing well. Part two, Death Head’s Legion downloads Jan. 2. Pre-order now. 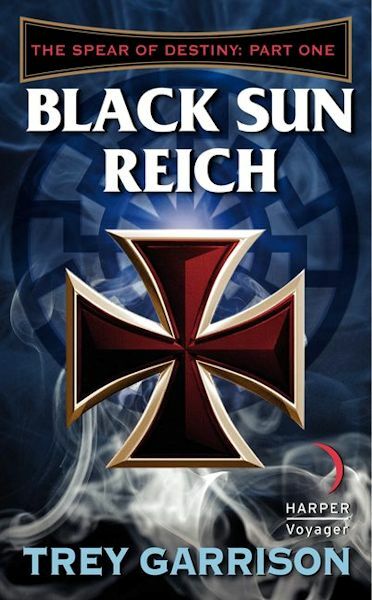 Jess : What is the most scariest or weirdest/craziest thing one of your characters, from “The Spear of Destiny: Part One – Black Sun Reich,” said or did? Trey : Oh God. Easily Der Schadel, the telepathic, telekinetic sadist as the scariest. Writing his scenes, I actually creeped myself out. He starts with making a group of altar boys eviscerate themselves, and it just gets worse after that. But I wanted to show that while this is, taken together, a fun adventure story, the stakes are dire and the bad guys were really evil. He’s the embodiment of the cold, dispassionate murderers you saw running the death camps and performing medical experiments.